The Lloyd Hotel & Cultural Embassy is a unique hotel in a building with a unique history. The hotel has 117 hotel rooms ranging from one star rooms to five stars rooms. All hotel rooms have been designed by one or more Dutch artists and designers and almost all of them are unique in design. The side hotel entrance and certain rooms have wheelchair-friendly access. Small domestic pets are welcome in the Lloyd Hotel at no extra cost. The restaurant of the hotel is accessible for guest and or non-guest. It has a large south-facing terrace, where you can have breakfast, lunch, dinner or just a drink. The Lloyd Hotel restaurant uses organic and sustainable products from well-known local suppliers to prepare their meals. As well as in the rooms and the rest of the building, you will see and feel the atmosphere that comes from the history of the building. The building of 1918 was originally build for (poor) European migrants going to South America. Just before the World War II, it was used for housing Jewish refugees. Ironically it became a prison during war, although not specifically for Jews. 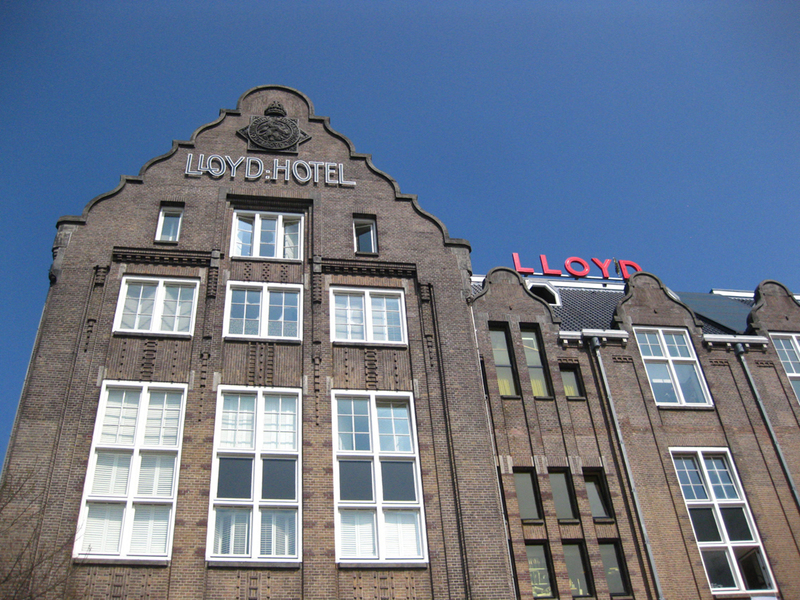 After the war the building became a youth prison and subsequently a breeding ground for artists and since 2004 it is the Lloyd Hotel. The hotel is also a cultural embassy, showing and promoting Amsterdam’s rich cultural life. The Cultural Embassy organises regular and irregular events and partner with other companies in special projects. The Lloyd Hotel is located in a building with a rich history. Not only their historic story is interesting, also their efforts to promote the culture of Amsterdam. We believe that the interest in each others culture is important for understanding and respecting each other more. Another reason that we gave them a two rating for social consciousness, is that the hotel is (partly) wheelchair accessible. The restaurant works with suppliers such as De Pasteibakkerij (NL), Lindenhoff (NL) and fish supplier Jan van As (NL) and they offer vegetarian options. 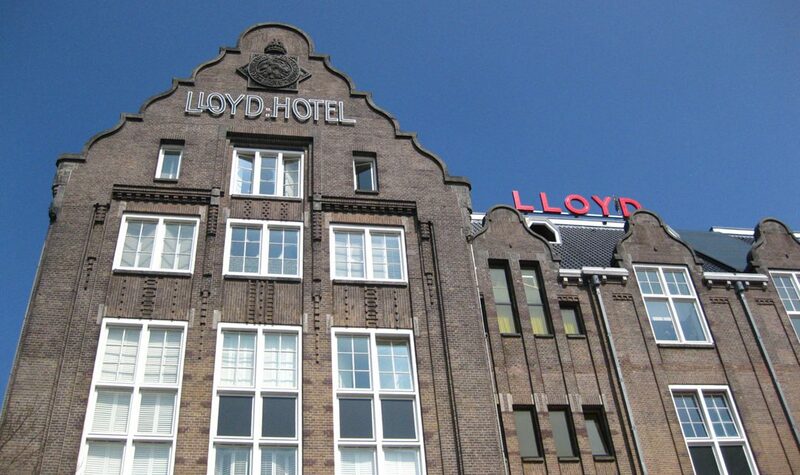 Unfortunately we do not have any information (yet) regarding how sustainably Lloyd Hotel is run.